People starting out on their journey often ask me for recommendations on what resources I’ve used to get fluent in Portuguese, adapt to Brazilian culture and start an online business that I can run anywhere in the world. The follow list are all books, courses, software and other tools that I’ve either used at some point in my journey or currently use. 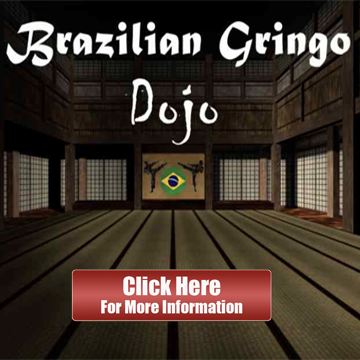 Please note that some of the links below are affiliate links to products that will earn this site a small commission that help cover costs and invest in making BrazilianGringo.com better. Transferwise – When you need to send money to or from Brazil, Transferwise is the preferred resources for foreigners living in Brazil. The Brazilian Dream – This is the story of how one entrepreneur left behind his finance job to start a business in Brazil. It provides valuable insights as to why someone would choose to start a business in Brazil versus other BRICS countries and what kind of challenges you can expect to face. Brazil for Life – A practical guide to dealing with many of the bureaucratic challenges you’ll face in Brazil. Written by a real estate developer with 10 years of experience in Brazil. Reality Check – Another story of a foreigner who moves to Brazil to start a business and a family. This one gives you a lot of insight into the day to day challenges you’ll face in Brazil. Fluent in Three Months – This book will turn upside down everything you think you know about learning a language. If you’ve never learned a language to fluency before, you absolutely must read this book before you start in order to get a more realistic idea of what you can achieve. Fluent Forever – There is a lot of valuable insights in this book for both beginners and experienced language learners. If you follow the advice in the pronunciation section you’ll avoid a lot of awkwardness when talking to people in their language. The First 20 Hours – How to Learn Anything Fast – While this book does touch briefly on language learning, it’s focus is more for learning in general. It will help you realize what activities are actually important when learning a new skill so that you don’t waste time in the beginning. Everything Brazilian Portuguese – This is a pretty good book for the absolute beginner who wants to learn Portuguese by themselves without much guidance. It comes with an audio CD to train your pronunciation, and has a number of exercises throughout the book. If this is all that you use, make sure you get the supplementary practice book. 501 Portuguese Verbs – This is a useful book to have as reference when you want to learn the irregular conjugations for Portuguese verbs. Dirty Portuguese – This book will teach you a lot of the useful words that your Portuguese teacher is too timid to teach you. I got into a lot of trouble with this book when I first when to Brazil. Modern Brazilian Portuguese Grammar – I wouldn’t worry about grammar too much until you’re past the beginner level. When you do get there, this book is the best resource for understanding Brazilian Portuguese grammar. It is very nuanced and takes into account how Portuguese is actually spoken by Brazilians and not just how it is taught in academia. If you want to learn on the go, use Pimsleur or Portuguese Pod. If you want an integrated approach that teaches you culture, pronunciation, and how to think like a Brazilian, then use Semantica Portuguese. If you’re serious about mastering Brazilian Portuguese pronunciation, start with Mimic Method before moving onto other programs. If you use Rosetta Stone to learn Portuguese, or any language for that matter, we can’t be friends. More thoughts on that here. Entrusters – If you’re flying to Brazil from the US or Europe, you can make a few extra bucks by buying items that people request in advance using this site. Play your cards right and you can cover the cost of your flight. 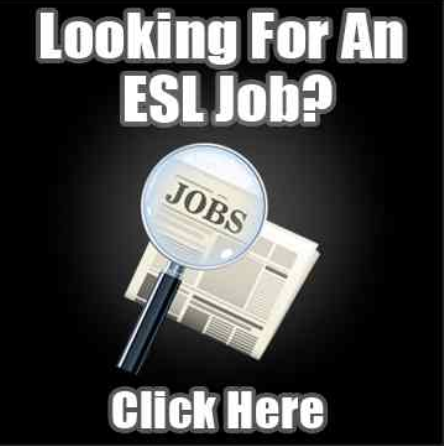 Teaching English Online – A link to a blog post we wrote with an exhaustive list of websites that you can sign up at to teach English online. WordPress – Super easy to set up and use with thousands of free tutorials, themes, plugins and customization options available. Learn how to set up a WordPress site in 5 minutes. Beaver Builder I recommend this Theme to everybody. It’s the easiest one to use if you want to set up a custom WordPress website in minutes. The templates and drag and drop capability allow anyone to build a professional looking website in minutes without having to have any coding knowledge. Bluehost – Cheap, reliable, easy to use hosting with 1-click WordPress install and good customer service. I started out here and still host many of my sites with them. Namecheap – I buy all my domains with Namecheap. Not a fan of GoDaddy since they supported the US government’s plans to censor the internet. Flywheel Hosting – I moved BrazilianGringo.com to these guys once my traffic got to 3o,000 page views a month to improve speed and performance. Aweber – A mailing list is the backbone of any online business. Building an autoresponder with an email marketing service like Convertkit means you can send out emails on autopilot and make money while you sleep. Apple iPhone – When you need to film videos on the go and you don’t want to attract too much attention. Most of my videos that have 100,000+ views were filmed on an iPhone. The audio and video quality is superb and eliminates the need to carry around an extra device. Gorilla Tripod – This is a flexible tripod that you can wrap around pretty much anything. Very handy when you’re filming videos by yourself. Final Cut Pro X – I use Final Cut to edit all of my videos. There’s a lot more that I could be adding into my videos if I learned how to use all of the features it has but I haven’t invested the time yet. Photoshop – I make most of my video thumbnails in Photoshop. Pixlr is a free web based alternative that does pretty much everything Photoshop does. Camtasia – For making screencast videos. Flux – Changes the color of your computer’s display depending on the time of day to help you sleep better. Prey Project – This is a must download app for travelers. If your phone or laptop gets stolen, you’ll be able to secretly take pictures of whoever is in possession of your device. Duckduckgo – Google stores a massive amount of your personal information and uses it for their purposes. Duckduckgo is an alternative search engine that respects your privacy. StayFocusd – If you find yourself wasting a lot of time visiting certain sites, this Chrome app will prevent you from visiting those sites. News Feed Eradicator – Replaces your Facebook newsfeed with a motivational quote to keep you from wasting time. Jing – For taking a quick screenshot of something on your screen and sending it to someone.